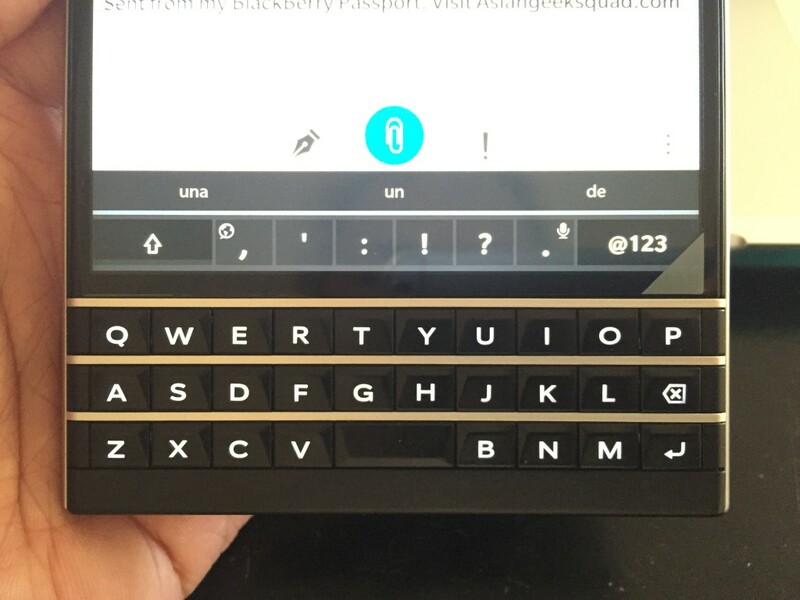 Blackberry Passport: Day 6 – All about the Keyboard! You are at:Home»COLUMN»Blackberry Passport: Day 6 – All about the Keyboard! On this beautiful snow day, we decided to go over the tips and tricks to get you to type faster and more efficiently on your Blackberry Keyboard. The more I use this device the more I love it – in fact, trying to type on an iPhone 6 feels very unnatural with my hands cramped vying for space in the narrow keyboard. Don’t forget to check out our previous Blackberry Passport posts! Day 2 – Sample Photos and Videos! Day 1 – Challenge – INITIATE! For a capital letter, press and hold the letter, for a second – and you’ll see the letter change into a capital. For a CAPS LOCK, you’ll have to press and hold the shift key. To get an accent (for example: í é ó), press and hold the letter, it’ll change to a capital, keep holding it and a menu will appear with all of your accent options. For a complete rundown of tips and tricks, view our video! Don’t forget to enter our Chromecast International Giveaway and NsStar iPhone 6 case Giveaway! POLL: What is the best smartphone of the year?